When working conditions heat up, you can't beat the comfort of short pants. 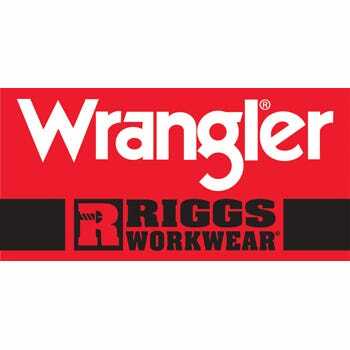 Wear these Wrangler Riggs Men's Loden Green 3W360 LD Cotton Ripstop Ranger Shorts and enjoy working in the airy comfort of shorts without sacrificing the no-nonsense features you want in wo ... (see full details) (see specifications) #WRG3W360LD. When working conditions heat up, you can't beat the comfort of short pants. Wear these Wrangler Riggs Men's Loden Green 3W360 LD Cotton Ripstop Ranger Shorts and enjoy working in the airy comfort of shorts without sacrificing the no-nonsense features you want in workwear. These Wrangler Riggs shorts are designed to work hard, whether it's to keep you cool or to help you move. They're styled with a relaxed Room2Move® design with an improved fit in the seat and thigh. That means you have plenty of roomy comfort for bending, stretching, and squatting. An action gusset gives you additional moving space at the crotch. The generous 11.25-inch inseam is made to hit below the knee, while still leaving your legs exposed to cool comfort. Crafted of 10-ounce fabric for durability, these cargo-style shorts are easy to machine wash and ready to work. The 100% cotton ripstop fabric delivers the soft, breathable comfort of natural cotton and also has the power of ripstop, fabric that stops rips and tears where they begin. The loden green color is neutral and will go with just about anything in your workwear wardrobe. These ripstop shorts have all the storage capacity of full-length pants. They feature an oversized watch pocket and two 13-inch deep front pockets and a patented tape measure reinforcement on the right front pocket. Around back, the pockets are reinforced at stress areas and lined with abrasion-resistant 1000-Denier Cordura® fabric. There's a right-side hammer loop, and two roomy cargo pockets round out the ample storage options. When you're looking for made-tough workwear, these Rangers get it done with reinforced front panels, 3/4-inch X 2 1/4-inch belt looks, and a study #5 YKK brass zipper. For a cooler workwear option, lose the long pants and give these Wrangler Riggs Men's Loden Green 3W360 LD Cotton Ripstop Ranger Shorts a whirl. We have them right here at Working Person's Store! Order today! Please note additional charges for larger sizes. These are great shorts for working or wearing around town. They have plenty of pockets for your tools and cell phone. The best part is the lightweight, super strong material they're made of. The length is not too long or too short. My only complaint is that I wish they had more colors to chose from. I highly recommend them. Tough and lightweight, good for jobs that do not require a lot of kneeling in warmer temps. They let the air flow freely. As they are not denim and the fit is a little stiff. The pockets are deep and easy to get to. I like the length and you can hold material or brace it with the front part of your upper thigh. Nice Shorts and a real tough material that they are made of. Very durable and long lasting. I gave four stars instead of five is the fit of these Wrangler shorts are different from the denim shorts. But a lot tougher than denim. Wish there were more colors to choose from in this material. I will buy them again though. Not your average shorts, these are good for work and will last long time. I had Dickies and they were ok but these Wrangler shorts are very nice, for winter time I purchased the pant version of these shorts and they lasted all winter and very durable they will last next winter as well, I am really surprised Carhartt doesn't make shorts like this. You will not be disappointed in these shorts also very important these shorts dry off quickly and do let air run through them to keep you cool. I've had several pairs of these shorts and for my profession they hold up well and have plenty of pockets for tools and small parts. They also work well for leisure activities like fishing and golf, at least at courses that don't require "appropriate attire"
Wrangler Riggs Shorts: Men's Loden Green 3W360 LD Cotton Ripstop Ranger Shorts is being added to your cart.